We have a serious problem here, and that problem is that these Classic Vegan Chocolate Glazed Donuts are a little too easy to make. 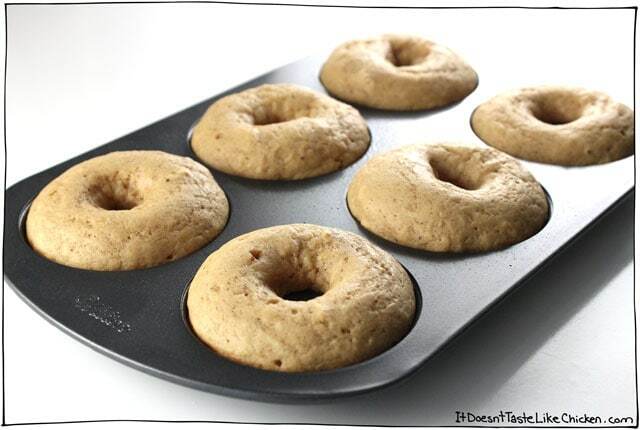 You just whip up the simple donut batter, fill this fancy little donut pan and bake. 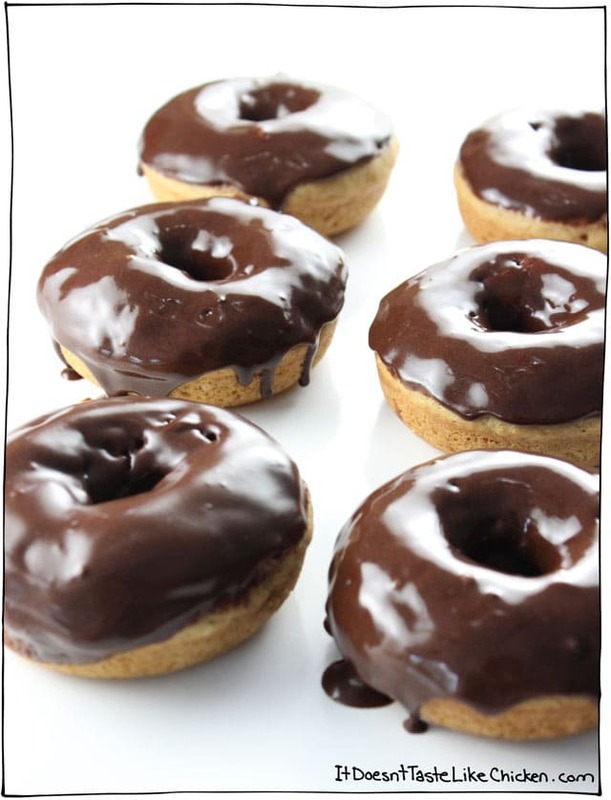 Then take one of these fluffy donut perfections, and dip it into the quick chocolate glaze. TOO EASY I tell ya. Because wow wow wow! These things are magic. Look at them. LOOK AT THEM! ☝️ Sorry, getting a little bossy around here, but seriously. I can’t even. After doing a bunch of research (yes I spend a lot of time researching donuts… #weirdjob), I found there are a few keys that take donuts from fine to fabulous. And of course in true Sam fashion, I reveal them all to you so you can make perfect vegan donuts in your home too. You know that classic donut taste that you can’t quite put your finger on? Well, I put my finger on it. I discovered that taste is nutmeg! Who knew right!? The donut batter is spiced with nutmeg that gives these donuts that classic bakery taste. The donuts are baked, not fried, which makes them easy and safe to make at home and a lot healthier to boot. So now you can eat two donuts! (You’re welcome). The key I needed to figure out is how to get baked vegan donuts that were fluffy perfection. So I tried my favourite trick of adding an acid (lemon juice or apple cider vinegar) and baking soda. You know those volcanos you made in science class as a kid, same thing happens here. 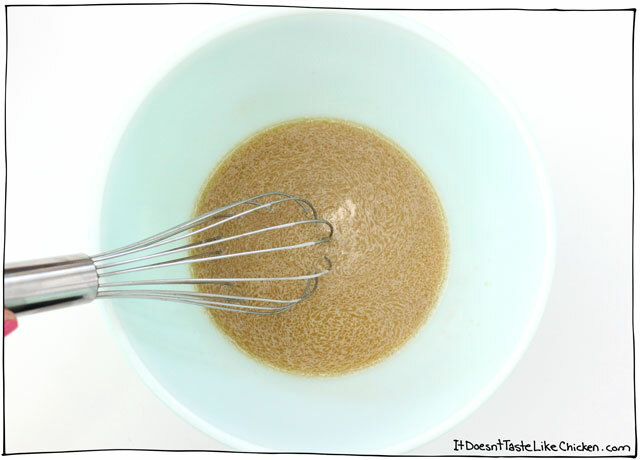 The combo makes for lots of quick rising bubbles making these donuts FLUFFY while still maintaining moisture. One of these inexpensive donut pans is key. Without them the donuts won’t maintain shape. They will still taste delicious of course, but you won’t really get the donut feeling without that classic shape. The glaze! I didn’t realize I was so picky about donut glaze until I started testing these donuts. My first attempt was delicious, but the glaze stayed gooey, and didn’t have that classic donut glaze crackle when bitten. Don’t worry friends, I sorted it out. Now you can have your chocolate glaze and have it crackle too. 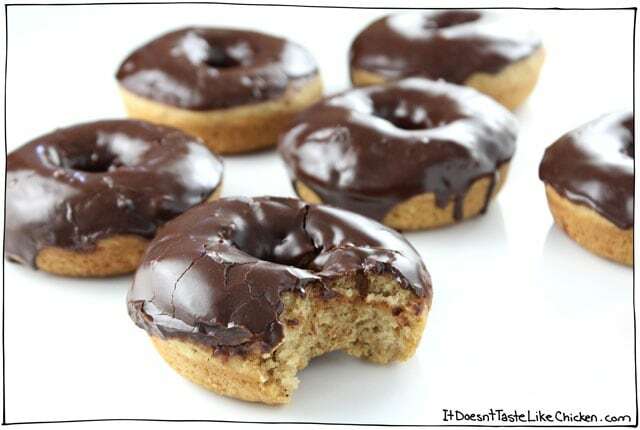 And there you have it, my secrets to Classic Vegan Chocolate Glazed Donuts. You may now start your ovens! 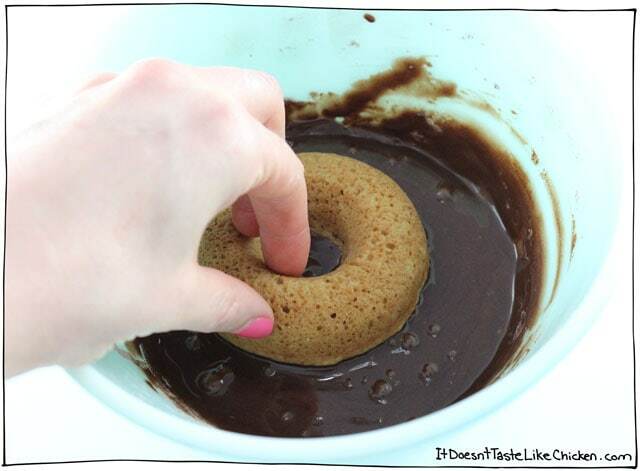 To make Classic Vegan Chocolate Glazed Donuts: In a large bowl, whisk together all the dry ingredients. In a medium bowl mix together all the wet ingredients. Now add the wet ingredients into the dry ingredients and stir until just combined. Do not over mix, lumps are totally cool. Scoop the batter into a large ziplock bag and cut the corner off of the bag. Alternatively, use a pastry bag. 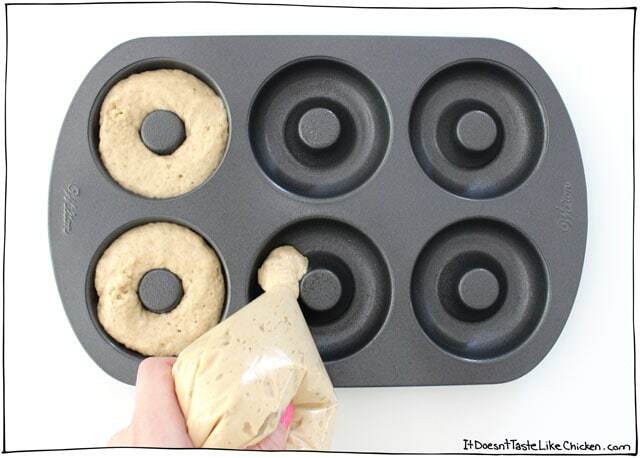 Pipe the batter into the donut pan, dividing it evenly among the 6 donuts wells. Bake for 10 to 14 minutes until the donuts have fluffed up and bottoms are lightly browned. Take out of the oven and cool for 5 minutes then flip the donuts over so the bottoms can steam off a bit and don’t hold too much moisture. Add all of the ingredients to a bowl and mix well. Dip the donuts into the glaze half way up and carefully lift the donut back out again, the frosting will set as it rests. If you have leftover glaze, use it to drizzle over vegan ice cream, or dip fruit into it. Fluffy, baked, PERFECT, classic vegan chocolate glazed donuts! Just 25 minutes to make and are baked - aka you can have two! Preheat your oven to 350F (180C). Lightly grease a donut baking pan. In a medium bowl mix together all the wet ingredients. Now add the wet ingredients into the dry ingredients and stir until just combined. Do not over mix, lumps are totally cool. Bake for 10 to 14 minutes until the donuts have fluffed up and bottoms are lightly browned. Take out of the oven and cool for 5 minutes then flip the donuts over so the bottoms can steam off a bit and don't hold too much moisture. I loved these so much! They were so good, not too sweet, not too dry, and the nutmeg definitely adds that classic donut flavor and the chocolate icing was perfect! My daughter asked me to make vegan donuts for the kids at the school she works who have food allergies. They are having a donut party and she wants them to be included. They are doing regular glazed donuts, though, not chocolate. Any tips on a regular glaze that ‘crackles’?? Every time I make glazed dounts it just stays gooey. 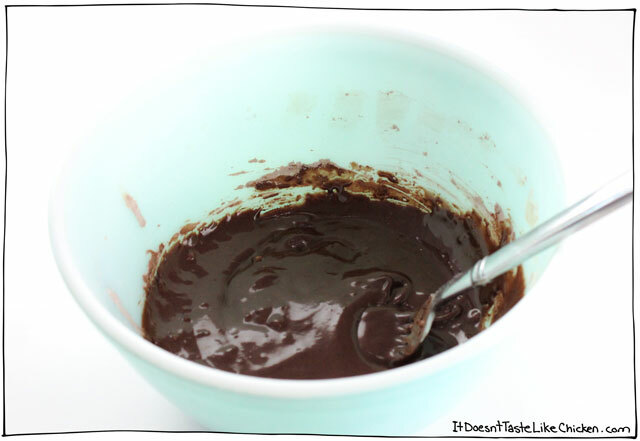 I believe if you make the glaze here but just omit the cocoa powder, it should work. You will probably need slightly less non-dairy milk, so just add to reach desired consistency. Enjoy! My husband wanted beignets but I wasn’t quite up to the task of converting a recipe to vegan for that. So I offered him these instead. They were a hit. Used powdered sugar instead of chocolate frosting (because, beignets!) and he loved them. 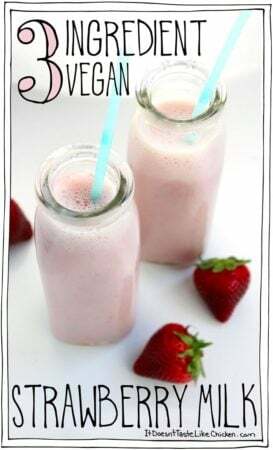 You are my go-to when I am looking for a good, quick, vegan recipe. Thanks again, Sam! Oooh yum that sounds delicious!! So happy you enjoyed them! Awesome!! So happy you enjoyed them! 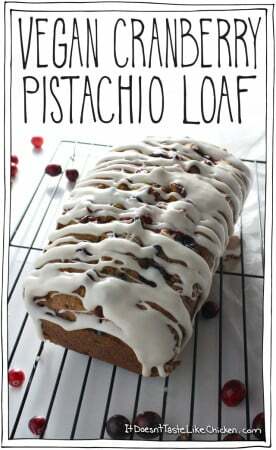 Can’t wait to try this recipe!! I have found that the “can’t quite pure your finger on it” flavor in donuts is actually mace, which is the fiberous lining inside the nutmeg. Gives that hint of flavor without being overpowering. Love your recipe for the glaze!!! I’ve got a question about glaze. We only mix the ingredients and it will set or should we heat it up a little? Would this batter work in a 6″ donut shaped cake pan? I’d like to surprise my vegan friend for her birthday! Hi Sahar, the bake times and possibly oven temperatures may vary a bit since the pan size is so different. Without experimenting myself, I’m afraid I can’t promise results. Sorry I can’t be more help! Hubby is gluten free, and I made a batch for him using King Arthur Flour’s ‘Measure-For-Measure’ GF flour, and they came out perfectly!! I just used 1 cup of that, and kept everything else the same. The only difference is that it made 5 donuts instead of 6 (typical with GF flours). 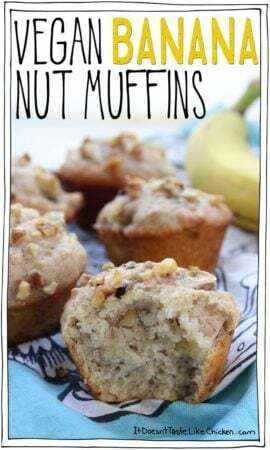 I just made these with gluten free flour and they turned out delicious. 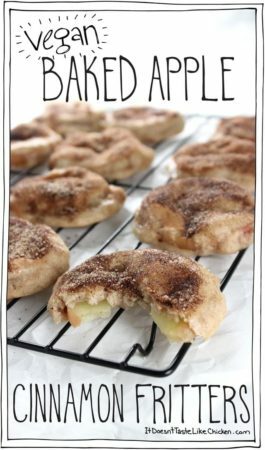 My son has many food allergies and I’ve been trying to find something that was similar to a donut, not just something baked into the shape of a donut. These were perfect! And, the frosting, is a key component. You definitely nailed the frosting! Thank you!! I made these last night and they are awesome!! I’ve never made donuts before, but these were so easy and taste delicious!! I will definitely be making them again!! Hi! I really enjoyed this recipe, but I didn’t have a donut pan so I used a (6) mini pie pan instead. They turned out kind of whoopie pie shaped… still awesome! I can’t wait to share with my friends. Glad you enjoyed it, Sadie! I’m so confused, I’ve made these donuts twice now, and both times the batter has been turned out really thin. I tried baking them for 30 minutes, and they came out uncooked in the middle. I followed the recipe exactly, I checked the measurements about 3 times before I added any ingredients. Everyone is talking about how good theirs turned out and they look amazing in the photo, so I’m absolutely puzzled because mine just didn’t work at all Do you have any idea what might have happened? Thanks! Oh no! I’m so sorry to hear that, Olivia. 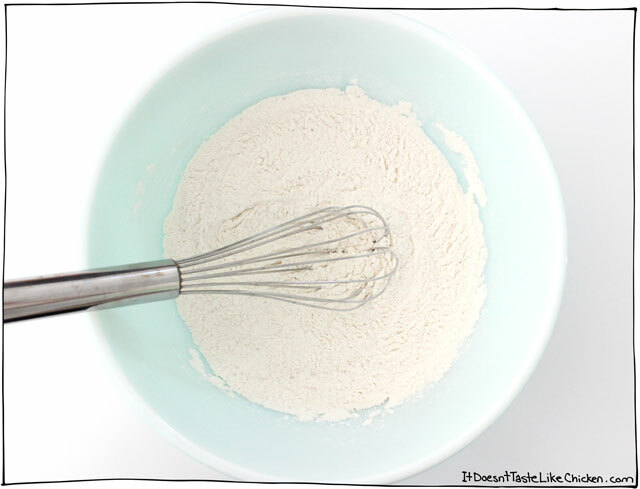 It’s hard to know without being in the kitchen with you, but maybe try 1/3 cup of non-dairy milk and add more if needed until you reach a thick batter. Hope that helps! Yum, so so delicious, thanks so much for sharing! Do you know how many days they stay ok covered in the fridge? Hi Andrea, it should work fine but the donuts may lose a bit of that buttery taste. Enjoy! These donuts are awesome! They were gobbled up by me and my family within minutes of being done. These are just as good as a classic deep fried yeast doughnut in my opinion. As usual, you have mastered another great recipe! Thank you Sam, for providing for my donut needs! 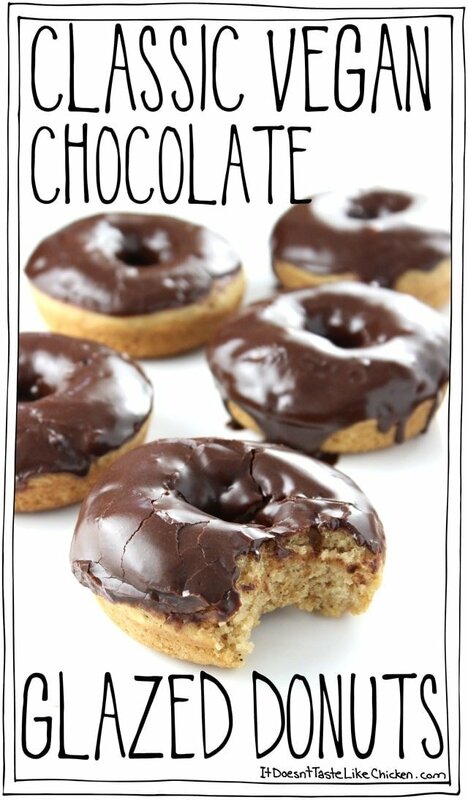 Hi Sam, I absolutely loved these donuts…thank you so much for the recipe. I love your cookbook, I’ve tried so many recipes from there already!! We loved them. So yummy and soft. Icing great too but had to add 100s & 1000s (sprinkles). I had to laugh about storing them as my daughter is devouring them. We are not fans of nutmeg do you recommend subbing with cinnamon? Glad you enjoyed them, Eve! Yes, you could substitute cinnamon. I’m Canadian too 🙂 Yes they would, of course, they wouldn’t have the donut shape, but if you are ok with that, go for it. Cooking times may vary though, so keep an eye on them. Enjoy! Any idea if this would work with almond or coconut flour? I’m not eating any grains as part of my cancer treatment but my 11 year old wants to find a donut recipe that I can have as an occasional treat. This one looks good if I can figure out the flour. Thanks! Coconut flour is very absorbent so I wouldn’t recommend that, but almond flour might work ok. Almond flour is heavier so I imagine the donuts will be denser. Here’s a guide that may help you. 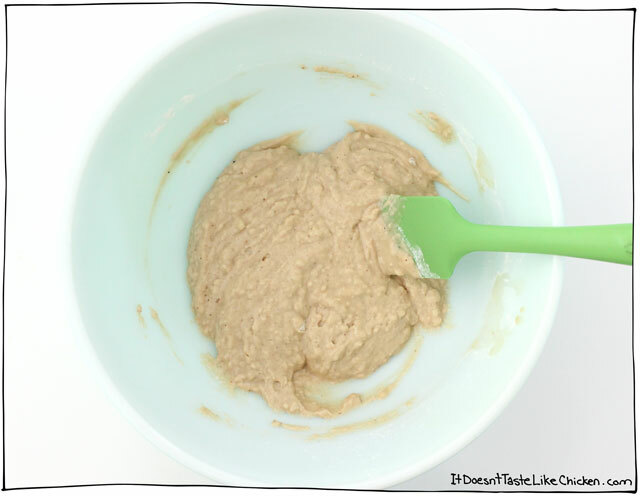 What is vegan butter; put particular half before the recipe & probably should of gone after!!! You can buy many brands of vegan butter substitutes, my go-to is Earth Balance brand. I made these today. I’m a pastry chef for a living and went vegan about 2 months ago. Wanted a special treat and these didn’t disappoint! I used oat milk for the donuts and glaze. I didn’t have vegan butter so I used coconut oil. Delicious, very easy, thank you! I followed your glaze to a T and they still have not set!! Very gooey…. Is it very humid where you are? That could be a problem. It should set fairly quickly as the wet ingredients just evaporate. It will always be a little tender. Hope that helps. LOVE these donuts. They were amazing! How do you recommend storing them? Should they be refrigerated or left out? Thanks! I’ve made these twice so far in the last two weeks. The first batch was actually too moist for my preference. I made them a second time and let them bake until a smidge darker. The glaze was perfect on these. I think when I make them again I will do a cinnamon sugar combo. But these are definitely a keeper and I will make them many more times. Thank you for creating this! I’ve never made dairy free (/vegan) doughnuts before – I was always too scared to try! Thanks for the recipe; you’ve made it all look so easy. I only have a tin for mini doughnuts so mine will probably turn out hilariously tiny compared to yours though, haha! Can’t wait to try. Haha, I hope you love your mini donuts, Andy! These donuts look sooo good! Can’t wait to try them! As I am writing this my four children are circling the oven expectantly awaiting yet another Sam Turnbull delight!!! May I substitute coconut milk for the soy or almond? Otherwise I would use “silk for coffee” instead of almond or soy milk–sound reasonable? Fingers crossed. Haha! Love it!! The coconut milk that is in the carton should work fine, but canned coconut milk or “silk for coffee” would be too heavy for this recipe. I hope you and the kids love them! Your recipe came at a great time! Unfortunately, our little guy discovered donuts at Dunkin Donuts recently and loved them. Boohoo! I was hoping he would be spared that ‘treat’ but that would be hard to do when I am not with him all the time. Now we can make healthier donuts at home that also don’t have animal products in them. Thank you! I look forward to making them – I will be trying it with some gluten free flour. 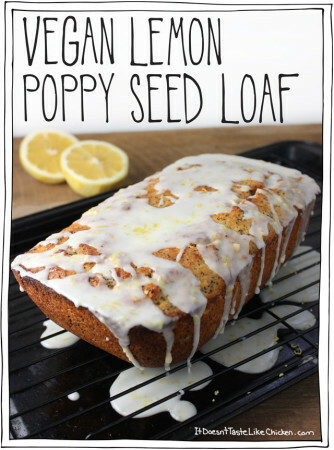 I love that the recipe is so simple and baked too! I love your site keep up the good work. I am looking forward to seeing your book. 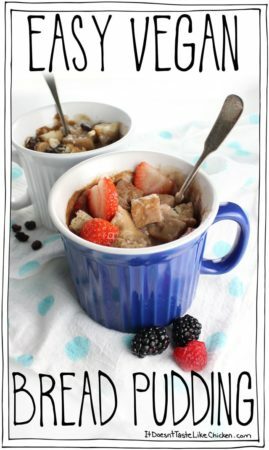 Ich hab schon viele Rezepte von verschiedenen Veganen Webseiten gemacht.Manche waren gut,manche nicht so gut. Aber alles was ich bis jetzt von deiner Webseite gekocht oder gebacken habe war immer (!) Lecker! I had to translate that one, haha. You’re most welcome! So happy you are loving all my recipes 🙂 Danke! !